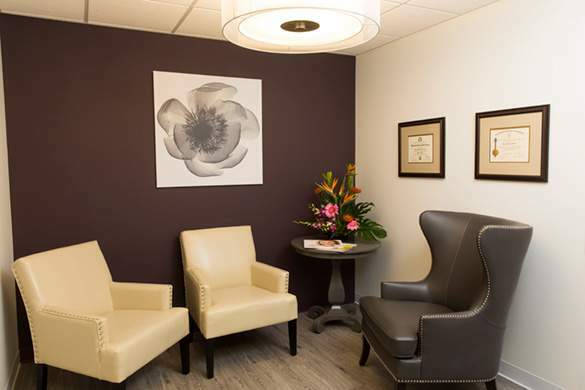 Our med spa in Barrington, IL, ReMed Spa, offers advanced nonsurgical anti-aging treatments for women and men who aren’t ready for plastic surgery. 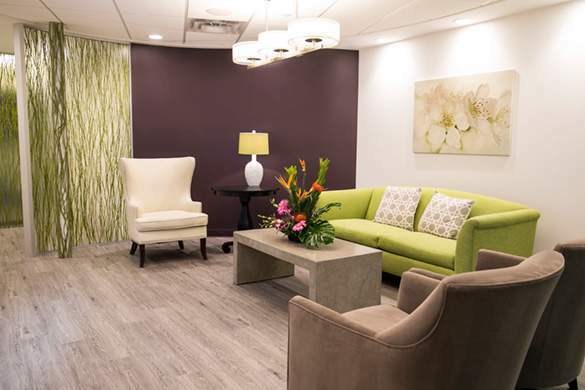 Whether you’re considering BOTOX® Cosmetic injections, a soothing facial, or CoolSculpting® for non-invasive body contouring, our med spa offers a menu of treatments that won’t take much more than an hour or 2 with little or no recovery time. 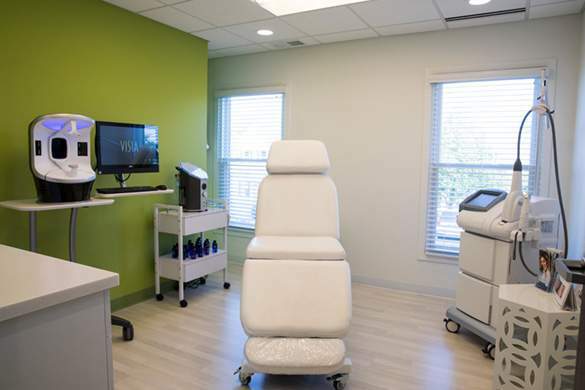 Dr. Renee Burke and our nurse practitioner, Samantha, along with our licensed clinical esthetician, strive to provide each of our patients with beautiful results that look completely natural. We work with you during the consultation to find a treatment or treatments best-suited for your skin type and condition, always taking into consideration your preferences, lifestyle, and expectations. 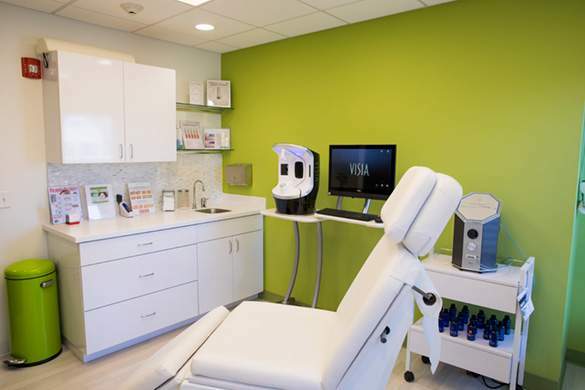 We’ve developed our menu of services with the goal of providing every one of our patients with a proven, nonsurgical treatment that will work for them. Dr. Burke personally chooses the best and most popular treatments in the country to provide at ReMed Spa. Dr. Burke provides her patients with nonsurgical cosmetic injections designed to provide specialized solutions for everyday concerns from fine lines and wrinkles to deep folds and areas of lost facial volume. We offer services that include both facial rejuvenation and body contouring. 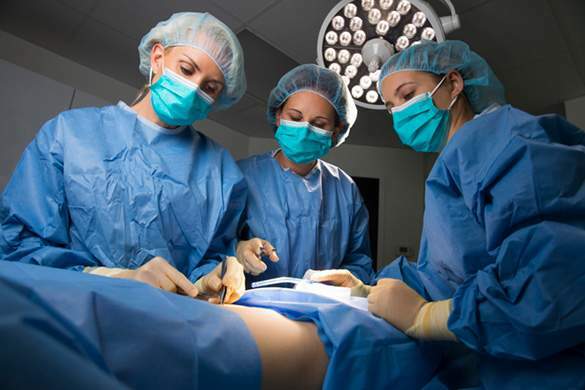 Please visit the listed pages to learn more about the procedures. BOTOX® Cosmetic: Reduce wrinkles around the eyes and on the forehead with the most popular cosmetic treatment in the world. Injectable botulinum toxins, including BOTOX, Dysport®, and XEOMIN®, work to relax the underlying facial muscles to soften expressions and prevent lines and wrinkles from forming. Fillers: Facial fillers are used to replenish volume beneath the skin to smooth away signs of aging and refine facial contours. Chemical Peels: Facial peels are designed to resurface and renew the skin to provide you with a brighter, younger-looking complexion. These peels help treat common skin issues such as sun damage, hyperpigmentation, and irregular texture. 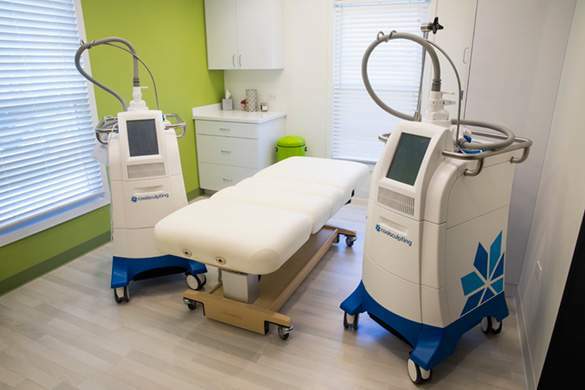 CoolSculpting®: This revolutionary nonsurgical body contouring procedure can tone trouble spots such as the flanks, thighs, abdomen, and below the chin, without downtime. 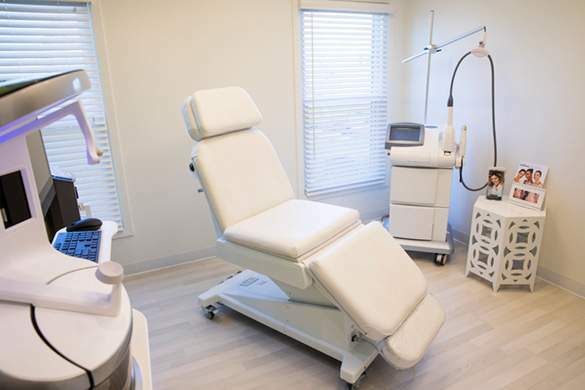 Lasers & Light: We use laser and light energy to effectively treat a wide range of skin concerns, including unwanted body hair, varicose and spider veins, sun spots, and scars. Our specialists can recommend the right solution for your skin concerns. 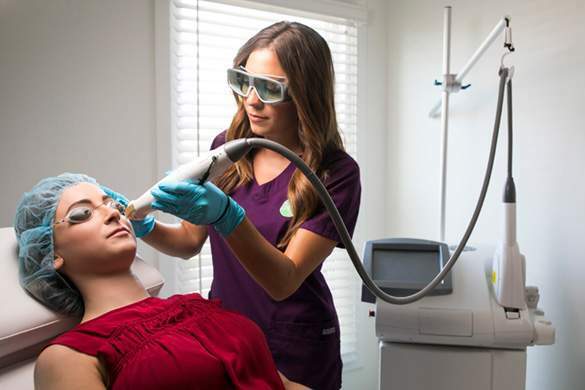 Intense Pulsed Light (IPL): IPL is a non-invasive procedure that treats a range of skin conditions, including sun damage, rosacea, brown spots, freckles, and vascular lesions. Microneedling: This treatment stimulates your skin’s natural ability to heal itself and can reverse years of sun damage, improve scars, and minimize wrinkles—all with little downtime. We use SkinPen® microneedling, a state-of-the-art device that stimulates the production of collagen and elastin. It is remarkably effective for scars resulting from acne, surgery, trauma, and chicken pox, and can improve the appearance of fine lines and wrinkles, stretch marks, large pores, and lax skin. AquaGold®: Similar to microneedling, AquaGold uses tiny needles to inject a customized skincare solution directly into the skin, creating a vibrant, more youthful complexion. Facials: Our anti-aging facials and therapeutic massages are great for pampering your skin and feeling fresh and rejuvenated. Simply lie back, let Nicole work her magic, and return to your normal routine relaxed and with a noticeably healthy glow. VISIA® Complexion Analysis: We use this advanced photography technology to capture a “snapshot” showing multiple layers of your skin. This imaging technique helps our aesthetic specialists customize treatments for each patient. Skin Care: Your home skincare regimen is essential to maintaining healthy and beautiful skin. But sometimes, your skin deserves a little better than what can be found on the shelves of your local department store. At ReMed Spa, we only carry products that we believe in, including Environ® and Osmosis®. Platelet-Rich Plasma (PRP): Facial injections of PRP can reduce wrinkles, alleviate sun damage, and improve the skin’s overall appearance. PRP uses your body’s own platelets and can be combined with microneedling to enhance the results of that procedure. PrecisionTX™: We also offer PrecisionTx™, a nonsurgical treatment for patients who want to tighten and tone loose neck skin for a more well-defined profile. 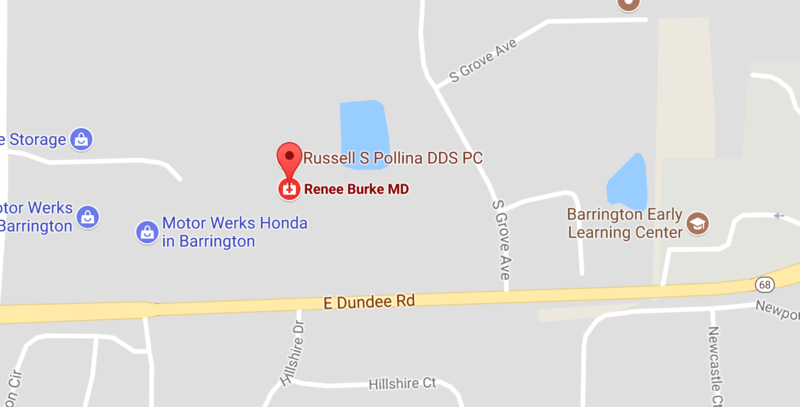 To get started looking your best, request a consultation with Dr. Renee Burke, or call our office at (847) 382-4400 to schedule your appointment.